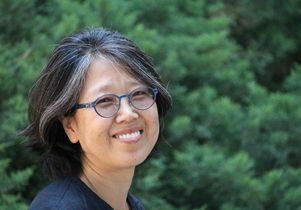 UCLA professor of Asian languages and cultures Namhee Lee has always sought an academic environment to pursue Korean studies. A once sparse area of study in higher education, universities are now teeming with opportunities to research and learn about Korean culture, history and politics amongst other pursuits. In her role as the new director of UCLA’s Center for Korean Studies, Lee wants to utilize UCLA’s “tremendous group of scholars” to shape the work being done at the center. “I’d like to be able to mobilize the resources that we have — not just the material resources, but the fact that CKS is an available venue — and engage with the issues that people feel are important,” Lee said. Her vision for the Center of Korean Studies is clearly collaborative, one in which divergent faculty interests are showcased along with traditional historical and cultural topics, and local Korean organizations are invited to participate in key events. Read the story on the UCLA International Institute website.